This was my first application written specifically for both VISTA and XP in 2007. 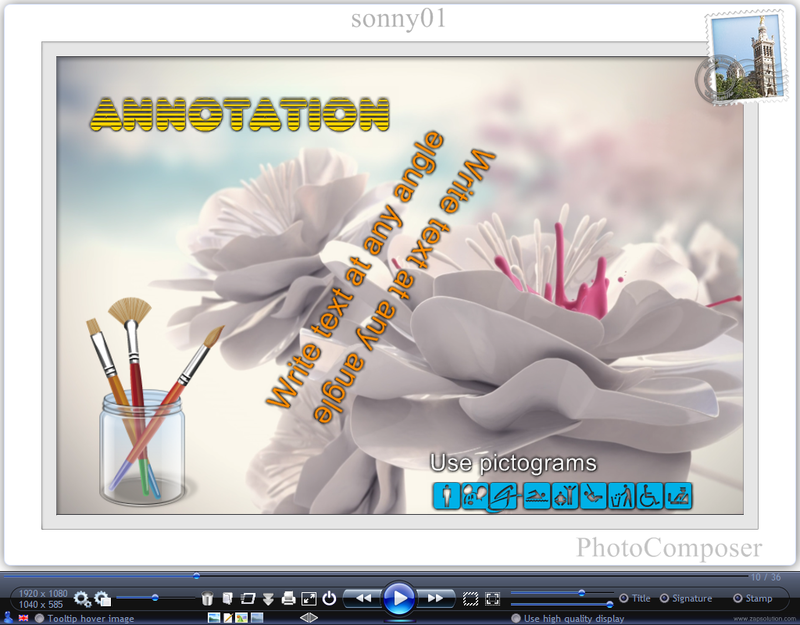 The skinning of the interface has been done using the zskin include file posted in the "SDK programming" section. 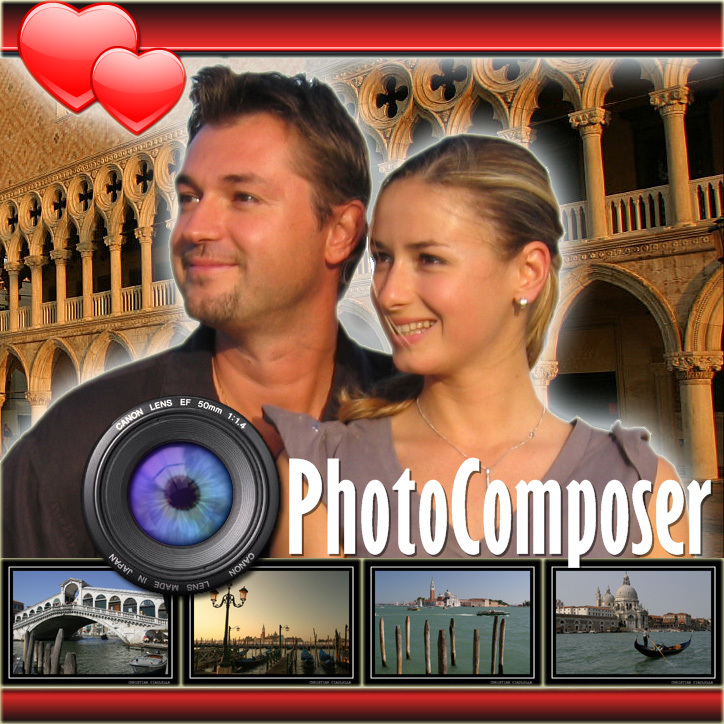 PhotoComposer was the official demo for GDImage Pro, and it is also available as a shareware project from my web page (www.zapsolution.com). The demo and the shareware version are the same (except that there is a setup program with the shareware version and no "GDImage trial version" nag screen). Make sure to read the help file before using it. To show the help file, click on the small blue silhouette located in the lower left corner. Just after running "photocompo.exe" you will see a flashing button, this is to show you the button to use to open the image selector and browse for folder to select one. As soon as you have picked one, you can click on the left and right arrow button to move from one picture to another. Try playing with all the other buttons and track bars. 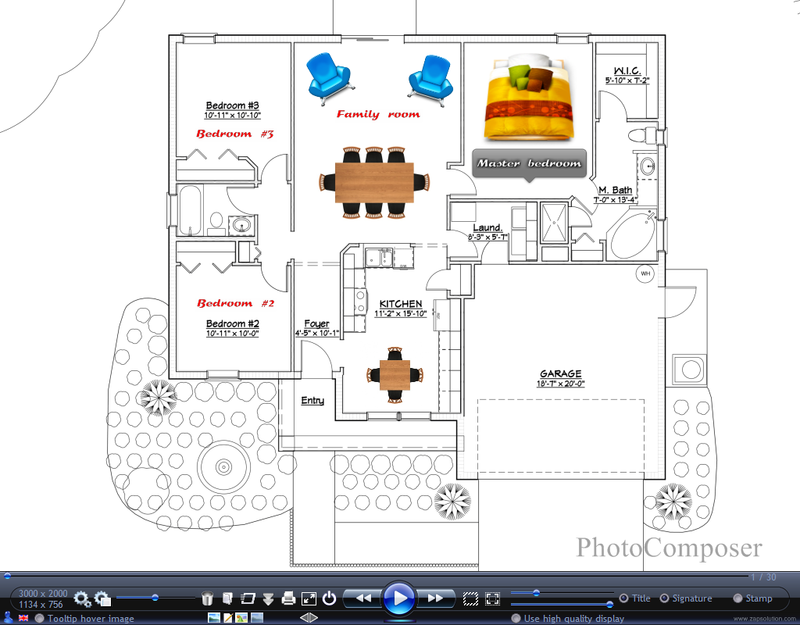 And to popup contextual menu then right click on any of the graphic object located in the main GDImage window. To move the window, hold down the mouse either on the control panel or on the border when there is one and drag it to another location.